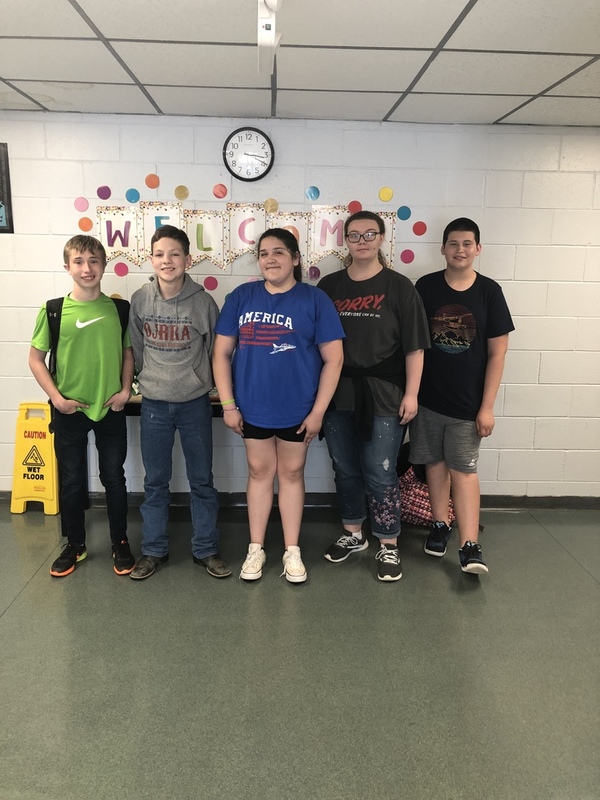 These students qualified during academic meets earlier in the school year. They traveled to El Reno last Friday, April 5th to compete. Pictured are Gatlin Bogart, Riley O’Neal, Kylena Bradley, Jasmine Patterson and Ethan Morrison. Cainan Mink also attended but was not present for the picture. Riley O’Neal placed 10th in Language Arts, 8th in Science, and 4th in Social Studies. This was a very tough meet and we are very proud of this team and all of their hard work!